Create mobile game apps for the lucrative gaming market If you're an experienced developer seeking to break into the sizzling mobile game market, this is the book for you. Covering all mobile and touchscreen devices, including iPhones, iPads, Android, and WP7.5, this book takes you through the steps of building both single- and multi-player mobile games. Topics include standard patterns for building games in HTML5, what methods to choose for building (CSS3, SVG, or Canvas), popular game engines and frameworks, and much more. Best of all, code for six basic games is provided, so you can modify, further develop, and make it your own. Shows intermediate developers how to develop games in HTML5 and build games for iPhone, iPad, Android, and WP7.5 mobile and touchscreen devices Explains single-player and multi-player mobile game development Provides code for six basic games in a GitHub repository, so readers can collaborate and develop the code themselves Explores specific APIs to make games even more compelling, including geolocation, audio, and device orientation Reviews three popular open-source HTML5 game engines--crafty.js, easel.js, and enchant.js Covers simple physics as well as using an existing physics library The world is going mobile, as is the game industry. 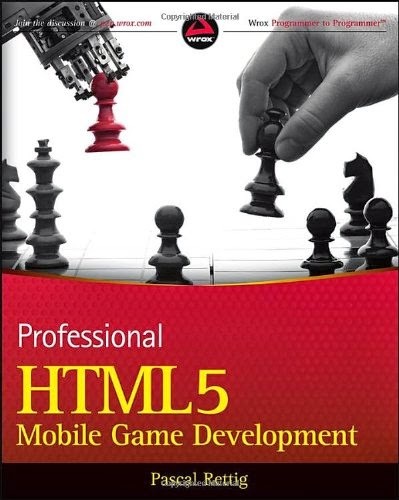 Professional HTML5 Mobile Game Development helps savvy developers join in this exploding market.